Smartphone camera technology is growing rapidly day by day. Nowadays, most of the people used to capture their photos with a mobile phone instead of a digital camera. To give a creativity to our pictures, we always need a photo editor. There are many photo editor apps available for Android, but here is the list of best photo editing apps for Android 2018 free download. We always try to show a creativeness on our photos before showing anyone or sharing on social media. It always not possible for anybody to transfer an image to computer and edit it with Photoshop or any other photo-editing tool. For instant sharing, we need a photo editor for Android; just capture, edit, and share. Let’s know some best android photo editor app available on the market. In earlier days, camera on a mobile had a hot topic. But, now every smartphone has a front and back camera to capture selfies and other moments. In these days, the mobile camera can able to capture professional photos like a powerful DSLR camera with many effects. You can also take Macro photos with a mobile phone with a small instrument. However, before uploading it on social media, you need some retouching effects on it. 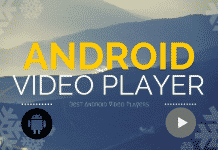 So, follow the below best photo editing app for Android for best features. Here I have detailed some totally free but highly effective picture editing applications that you can use on-the-go to take your photography to the next stage. PhotoDirector is the best photo editing app for Android I have ever used. Except photo editing, you can make beauty collages with your photos. It comes with basic as well as some advanced tools; smart object removal is one of them. It allows you to remove unwanted objects from an image, but it has a limit to use per day. It has both free and pro versions. Some of the tools are Effects, Splash, Mirror, Blender, Overlay, Portrait Tools, InstaFill, Pen Tools, Text Bubbles, Frame, Scene, etc. After editing, you can instantly share your high quality edited photos with social media. 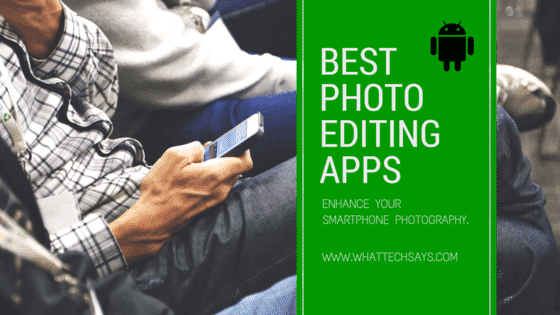 After using it for three months, I can say, it is on of the best photo editing apps for Android phones 2018. Autodesk’s Pixlr Express is another best photo editor for Android and iOs devices. When I bought Xperia Z2, it came with that. 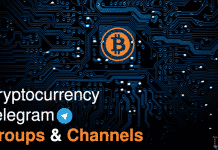 It is available in both free and paid version. It has amazing beautification effects like Arizona, Avenue, Dean, Clyde, Lucky, Sage and also some photo enhancement feature including color splash, filter, frames and other basic editing functions. Over 50 million downloads, it is one of the best photo editing apps for Android on Google play store. It achieves what it guarantees, switching out to be an uncomplicated image editor for beginner photographers who want to apply filters, effects, stickers, and frames and do basic image editing and improving without too much problem. Adobe Photoshop Express is an entry-level photo editing app for Android and iOs devices. You can use it for cutting, rotating, color correction, apply filters, amongst others. It is not the end of its features, with auto-fix and one-touch filters provide quick edits while slider controls provide more fine-tuned tweaks for contrast, exposure, shadows and more. It is not powerful as like Photoshop on PC, but you’ll get plenty of features like that. Pho.to Lab is one of the best photo editors for Android and iOs devices, which comes with both free and paid version. The free version has watermark and advertisement, but the paid version has not. It comes with more than 500 frames for your images with a myriad of backgrounds, photo filters, collage features, and even the famous human-to-animal montage that turns your face into an animal’s face. It is a little bit fun app, that everyone should try. PicsArt is one of the most popular photo editing apps which comes with all-around features like an image editor with effects, a camera app, drawing tool, and a social platform to share your edited photos. This app provides tons of options for photo manipulations and a wide variety of effects, masks, borders, stickers, text tools, clipart, callouts, frames, enhancement tools and much more for your photo. It’s a solid free app and a must-have for collage and photo grid fans. The Avairy photo editor is one of the best photo editing apps for Android which allows users to edit their photos quickly using its one-tap auto enhance tools. The one-touch Enhance tool lets you sharpen, illuminate and automatically balance colors. Besides the standard functions, it comes with tilt-shift, whitening teeth, text input, cosmetic corrections (red eye, make-up) and a Meme Generator tool. 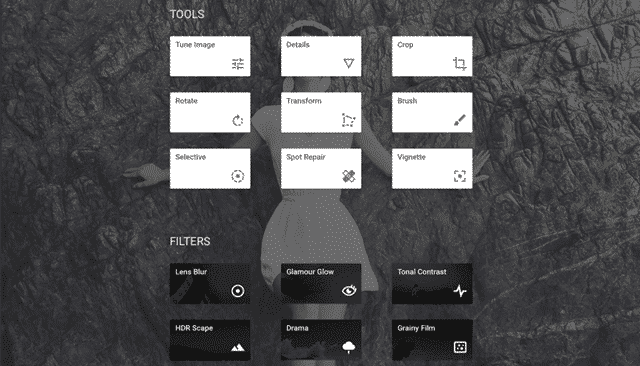 Snapseed is a stylish and unique photo editing app for Android phones and tablets. The app is created by Nik Software Inc to enhance your images through innovative tune image features, auto correct and selective adjustments. In the Autocorrect feature, by a single tap you can adjust colours, contrast and exposure according to your need. Snapseed redeveloped how the layout works in the app, placing the photo you’re editing and enhancing front and center. Inside the app, you can snap a new photo to edit or select an image previously on your smartphone. Cymera is another cool photo editing app for Android devices. 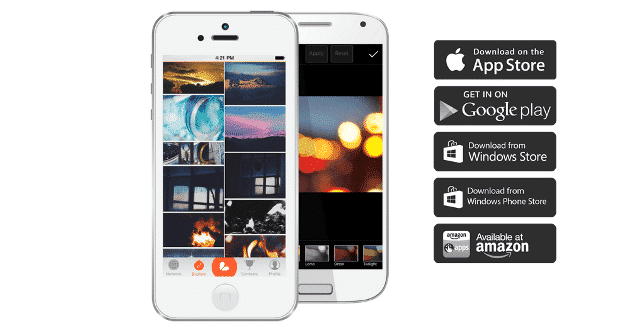 It is a multi-purpose app developed to be utilized both as camera and a photo editor. It is one in all smartphone camera app which lets you take and edit images. It is one of the many camera replacement apps that make any Android user become a professional photographer in an instant. It offers four capturing modes for users to select from. These contain Normal, Timer, Touch Shots, and Anti-Shake. 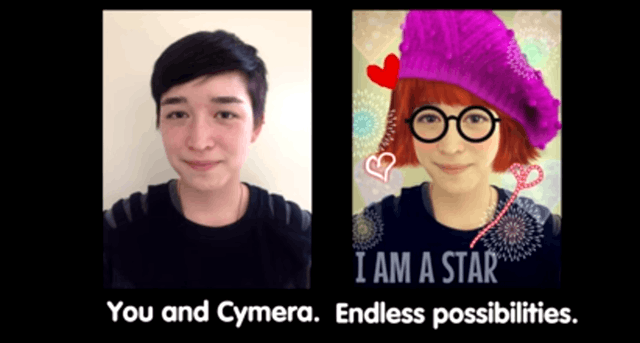 Cymera also features simple editing capabilities for your pictures. You can add awesome clip art images, frames, stickers, and so much more. This is a combination of best photo editor for Android as well as a camera app. 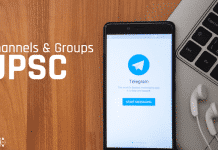 It has amazing beautification effects like Arizona, Avenue, Dean, Clyde, Lucky, Sage and also some photo enhancement feature including colour splash, filter, frames and other basic editing functions. 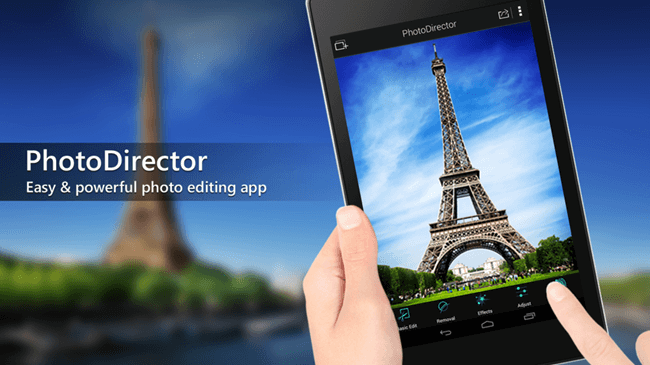 Over 50 million downloads, it is one of the best photo editing apps for Android on Google play store. It achieves what it guarantees, switching out to be an uncomplicated image editor for beginner photographers who want to apply filters, effects, stickers, and frames and do basic image editing and improving without too much problem. VSCO Cam is another unique and best photo editing app for Android developed by VSCO to provide unique and user-friendly features. This app gives to customize substantially and edit your smartphone shots. You can crop and rotate the picture and apply filters like sharpness, brightness, highlights, shadows, contrast, exposure, etc. 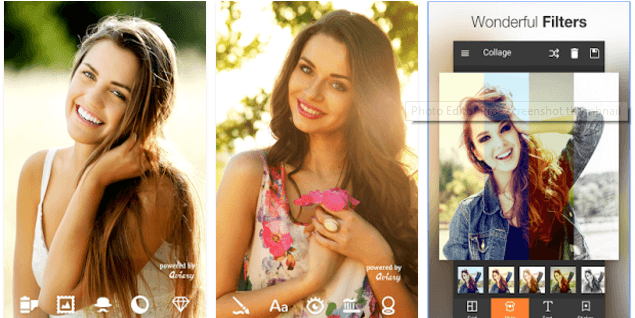 It is one of the most downloaded photo editing apps on Android. 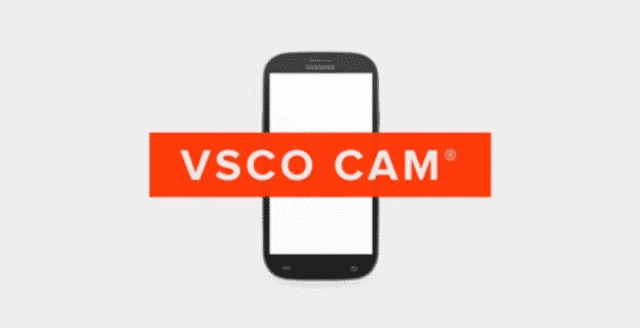 The powerful application of Mobile Photography is available for most Android 4.0+ devices – VSCO GRID VSCO Cam is integrated with VSCO Grid, a free photo publishing platform. It has a combo of a focused camera app, excellent editing capabilities and owns an Instagram-like user uploads page. This app is a photographer’s dream come true. All the above ten are the best photo editing apps for Android 2018 which are available for free download from Google play store. Download the best photo editor for Android and comment your experience about it. I need something to get rid of my wrinkles lol.. Whichever one can smooth my face will be downloaded by me! You are right Samrat. Thanks for the tip.